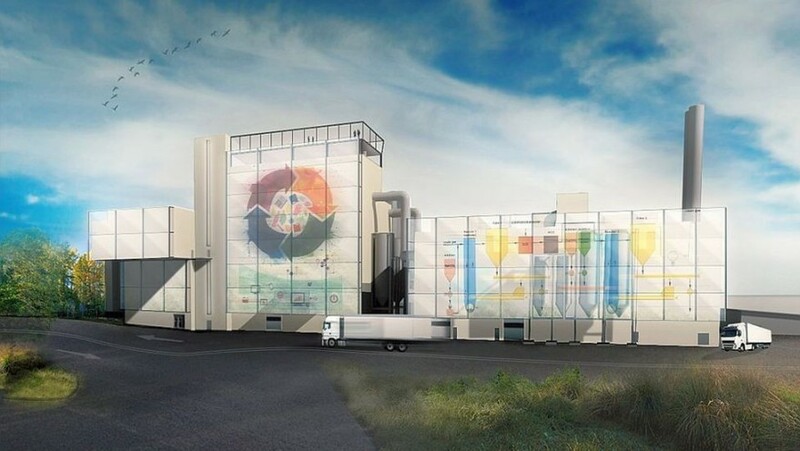 The Hamburg Waste Company (Stadtreinigung Hamburg) is currently working on the development of a unique resource and energy center (Zentrum für Ressourcen und Energie – ZRE) in Hamburg-Stellingen. In the new center, around 320,000 tons of waste per year, the household waste of the West of Hamburg, will be sorted. By fermentation of waste, bio-methan will be produced, which will be fed into the natural gas network. In addition, the ZRE will build a biomass and substitute fuel cogeneration plant that produces sustainable electricity and heat using biomass and solid fuels. In total, the ZRE is to generate approximately 60 megawatts of heat, and around 15 megawatts of electricity, plus bio-methan. With its facilities, the ZRE will have a significant impact on the district heating network with its climate-neutral heat and will therefore contribute to climate mitigation and resource protection in the city of Hamburg.